Article 50: What comes next? For organisations in the UK, that means potentially repapering every contract they have with other EU organisations. Article 50 of the Lisbon Treaty was triggered just over a month ago informing the rest of the EU that the United Kingdom is destined to leave the club by March 2019. Whilst ‘Brexit', as it has become known, is most significant for organisations based here in the UK, it will obviously affect not only its trading partners in the EU, but any organisation globally that trades with the EU. Most formal business relationships are instantiated and governed by the use of contracts, and it is an organisation’s corpus of contracts that will need analysing and adapting in light of the new arrangements. For organisations in the UK, that means potentially repapering every contract they have with other EU organisations. For EU members, any contracts with UK companies will equally need to be examined and potentially revised. For global companies that contract with the EU as an entity, there will need to be adaptation to cover the fact that the UK will not be part of the EU and a separate or amended contract will need negotiation. Currency - Foreign exchange and currency issues could impact the commercial benefits in contracts. Not only should invoicing provisions tied to the Euro or the Pound be reviewed, but companies involved in the global delivery of goods and services should be wary of how wild swings in the currency markets will impact their business performance. In certain circumstances, dramatic changes in valuation could also trigger termination, invoke provision protection or risk a shift in ownership. 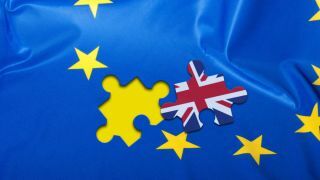 Brexit could also affect the profitability for an organisation to produce a product, forcing them to solicit force majeure or termination clauses. As for the sourcing or procurement side of businesses, all goods and services necessary to keep the lights on and keep up momentum are at risk for termination. Territory provisions - In addition to currency and exchange rate changes, Brexit could impact trade rules, including tariffs and territory provisions. If a company is trading services or goods with EU member states, contracts may well have been made with no consideration for tariffs or barriers thus impacting operations by altering the organisation’s ability to deliver per the requirements of that contract. One thing to look out for is a license giving specific rights to the “EU.” If found, the company will need to create a separate contract to cover the UK, which could potentially alter the revenue or cost of the original agreement. Movement of goods and services - New UK laws could also drastically affect logistics if changes occur in the movement of goods and services coming in and out of the UK. For example, Brexit could cause delays and inspections at border crossings, which is critical to a tech business’ production and delivery of their product. Border crossing changes, along with visa applications, could also limit the free movement of people, which, in turn, restricts a party’s ability to find the tech talent they need in certain locations. Brexit could then impact import/export tariffs as well as the underlying economics of a contract, including trade, immigration and agricultural subsidies. In anticipation of these changes, tech companies should start to evaluate how these elements are defined inside their contracts. Many companies are also struggling with compliance to a whole suite of new regulations which affect their operating environments, many of which require compliance in the next two years. This includes IFRS 15, a reporting mandate issued by the International Accounting Standards Board (IASB) which changes the requirements of how organisations recognise revenue, and IFRS 16, also released by the IASB, which revises how lease agreements are reported and carried on the books. 1) Discover all their contracts from across their organisations file stores, databases, content management systems, CRMs, CLMs and so on, and centralise them to make them accessible. 2) Extract the relevant terms which relate to Brexit by using a base extraction pack of search policies, and then teaching software to identify exact or semantically similar terms. Compliance projects are rarely sequenced optimally, and often the corpus of contracts is sent offshore or to a legal process outsourcing company for processing for a specific regulation. They are then manually reviewed by teams of people who are looking for specific terminology which they then enter into spreadsheets. It is time consuming, costly, and most importantly, a one-time event. Should that same corpus need examining for another regulation, it will then have to go back for another one-time review, looking for terminology relevant for another objective. It is easy to see this is an expensive, time consuming, and non-scalable way of doing things. Companies could be looking at potentially tens of thousands of contracts and so automating this process is essential. By extracting metadata and clauses through a sophisticated search review, businesses can quickly understand what is in their existing contracts and identify which need attention - all without disrupting day-to-day operations. Completing the above exercise will provide a good understanding of what will be affected and needs changing by the date of Britain’s departure of the EU. If negotiating positions change, and it is likely they will up until the exact date of transition, then being able to easily run search queries on the corpus of contracts which have EU/Brexit language will allow the maximum flexibility and responsiveness to the new situation. Companies can also use this exercise to identify which suppliers and customers they can no longer engage profitably on, which ones they need to re-negotiate and what they need to amend to ensure continuity. During the project, contracts affected can be put through review processes and the necessary changes negotiated and agreed upon, with the final redlining and signature being as close to the actual departure date as possible. Article 50 is triggering an event that must be paid attention to, but as outlined above, there are plenty of others that need to be addressed as well depending on industry or geography. Doing them all independently would necessitate massive expense and exposure to error. Organisations need to think holistically about a contract discovery and analytics platform that allows them to ask questions that they haven’t even thought of yet — questions that will need answering as the negotiations are solidified during the next two years.